She-Ra and the Princesses of Power, She-Ra, Adora, Catra, and all related characters and intellectual property belong to DreamWorks Animation and any other person or entity they belong to not explicitly named here. This video is a review and uses clips to illustrate our points; it is Fair Use by law and in practice in both Canada and the United States of America. 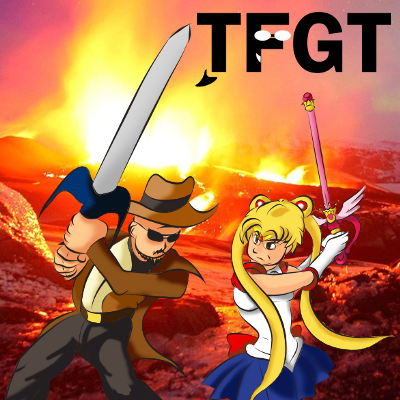 Questions/concerns should be directed to tfgtg2@gmail.com with the subject line "Re: She-Ra reviews." Carlos and Dave love the new She-Ra reboot on Netflix. Listen to our thoughts and opinions! HORDAK COMMANDS IT. Two Fat Guys Talk returns with musings on Blizzcon, Diablo Immortal, WarCraft III Reforged, Chrono Trigger/Cross, Smash Bros. Ultimate and its World of Light story mode, the next Nintendo Switch, the PlayStation Classic, Grandia, how crazy powerful Kirby is, and more.